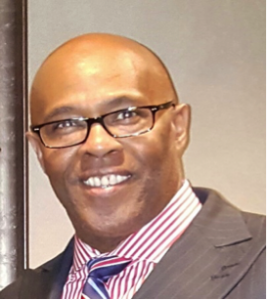 Herbert “Herb” Watson serves as President/Chief Executive Officer for Seventh Sense Consulting, a company focused on bringing new and innovative solutions to government organizations to improve mission performance. In his role as the company’s top executive, Mr. Watson has more than 30 years of proven Army and Industry leadership experience, as well as extensive functional expertise in acquisition and business operations management. Prior to joining Seventh Sense Consulting, Mr. Watson served as Vice President for ASI Government’s National Security Sector (NSS) where he was responsible for managing a $20 million portfolio focused on the Department of Defense (DoD) and Department of Homeland Security (DHS). Herb spent nearly 22 years in the Army and retired at the rank of Lieutenant Colonel. His leadership assignments include Director of Contingency Contract Plans and Operations for Defense Contract Management Agency International (DCMAI); Director of Contracting, U.S. Army Central Command in Qatar; Chief of the Computer Systems/Base Support Branch, U.S. Army Communications Electronics Command; and Chief of Contracts, U.S. Army Operational Evaluation Command. Before joining the Acquisition Corps, he held numerous leadership positions as a Signal Officer at the company, battalion and brigade level. Herb was also decorated with the Legion of Merit for exceptionally meritorious conduct in the performance of outstanding services and achievements. He holds a bachelor’s degree in Accounting from Southwestern Oklahoma State University, and a master’s degree in Procurement and Acquisition Management from Webster University.